Today we’ll GET TO KNOW about some phrasal verbs. Since there is no limit to how many phrasal verbs are there in the English language, we can’t learn all in one go. 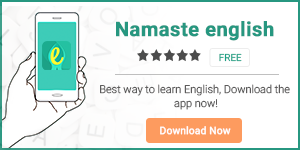 Download and earn more with the help of our English learning app Namaste English.